Due to a glitch in some of the graphics chips (GPUs) made by Nvidia, Apple is offering free of charge repair of affected MacBook Pro machines. 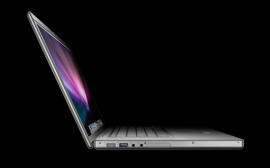 The issue was found on 15″ and 17″ MacBook Pros with NVIDIA GeForce 8600M video card. If you notice any distorted or scrambled video then you should contact Apple Support (no Saudi Arabia there, sorry). You can read more about it at Apple’s support page.